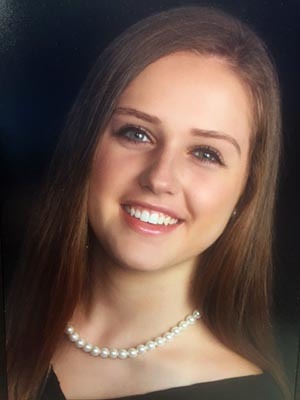 A graduate of Green Hope High School in Cary, Skylar received the President’s Volunteer Service Award Recipient through Hugh O’Brian Youth Leadership and was named a National AP Scholar. She served in several leadership positions as the president of the National Honor Society, vice president of the Spanish Honor Society. Skylar is interested in pursuing degrees in dentistry and Spanish. She looks forward to building new friendships and creating a unique Tar Heel experience that allows her to excel in the classroom, on campus and around fellow alumni in her post-academic adventure.